Experienced professionals. Personalized solutions. Prompt service. These are the qualities you need in an independent adjuster firm. With nearly 20 years as a leader in the industry, Mason Claim Services, Inc. can solve your short- or long-term staffing needs. 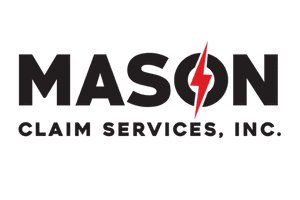 Mason Claims boasts an unmatched level of customer service driven by a nationwide team of over 900 seasoned claims professionals who understand the expectations of our carrier clients as well as insureds who have been impacted by a property loss. How may we help you? Contact us today to discuss how Mason Claim Services can support your specific needs.